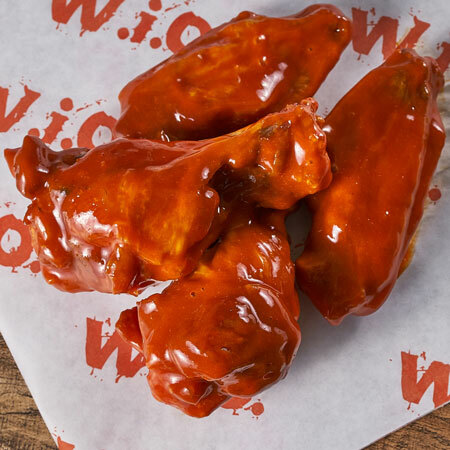 Fresh, never-frozen wings, cooked crispy and toss in our award-winning sauces and dry rubs. Classic Wings - 6 pc. Classic Wings - 12 pc. Classic Wings - 24 pc. Classic Wings - 50 pc. 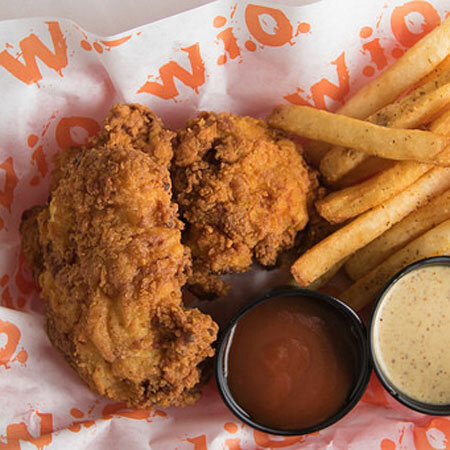 Huge, all natural chicken tenders cooked fresh and tossed any of our award-winning sauces or dry rubs. Boneless Wings - 3 pc. Boneless Wings - 5 pc. Boneless Wings - 10 pc. Boneless Wings - 20 pc. Bigger, tastier and fresher chicken sandwiches! Crispy buttermilk chicken served with lettuce, tomato, pickles and mayo on a brioche style bun. Our classic style sandwich served with a healthy grilled chicken breast. 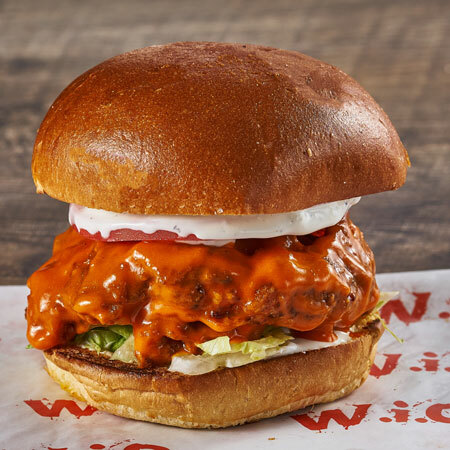 Crispy buttermilk chicken tossed in Dirty Rub and topped with pickles, red onion and chipotle ranch dressing on a brioche style bun. Crispy buttermilk chicken tossed in mild Buffalo sauce. Served with lettuce, tomato and blue cheese dressing on a brioche style bun. 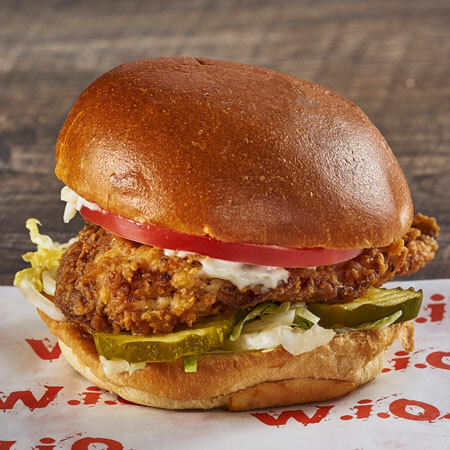 Crispy buttermilk chicken tossed in Mad Mojo sauce with lettuce, tomato, red onion and pickle on a brioche-style bun. Crispy buttermilk chicken coated in hickory BBQ and served with cheddar cheese, bacon and onions on a brioche style bun. 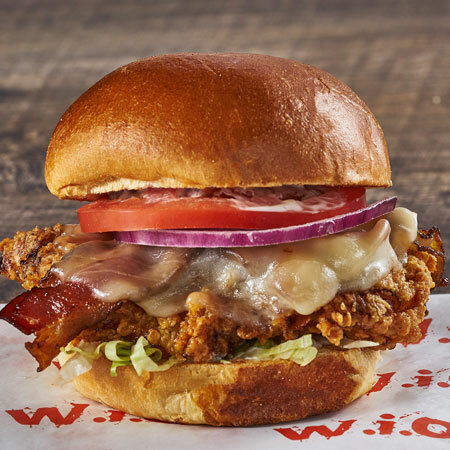 Crispy buttermilk chicken with melted provolone, bacon, ranch, lettuce tomato and red onion on a brioche-style bun. 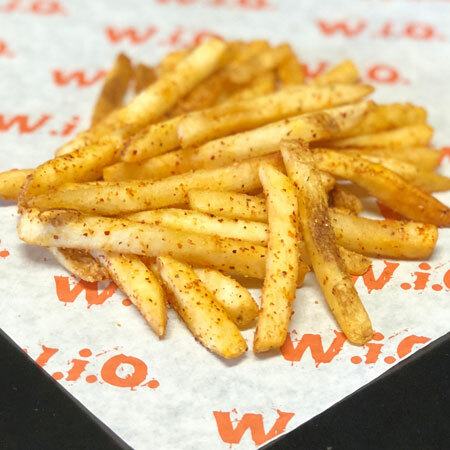 Two crispy tenders and side of classic seasoned fries. 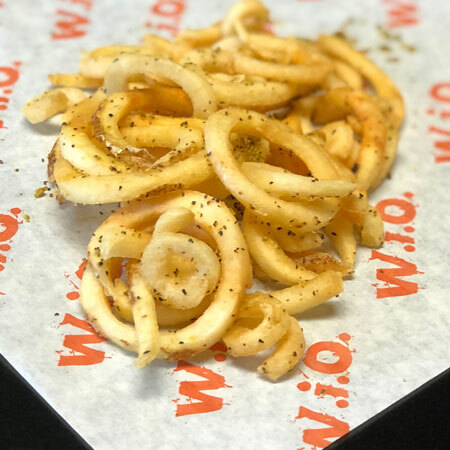 2 large tenders and a side of crispy seasoned fries. 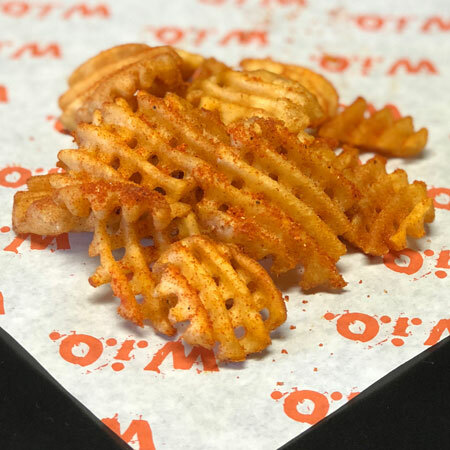 Pick your spud, then your spice! Crispy buttermilk chicken served with lettuce, tomato, pickles and mayo on a brioche style bun. Includes choice of side and drink. 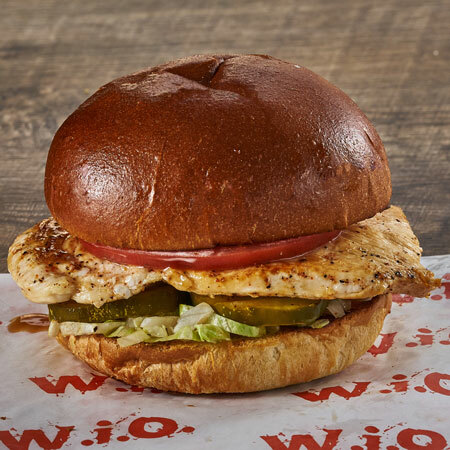 Our classic style sandwich served with a healthy grilled chicken breast. Includes choice of side and drink. 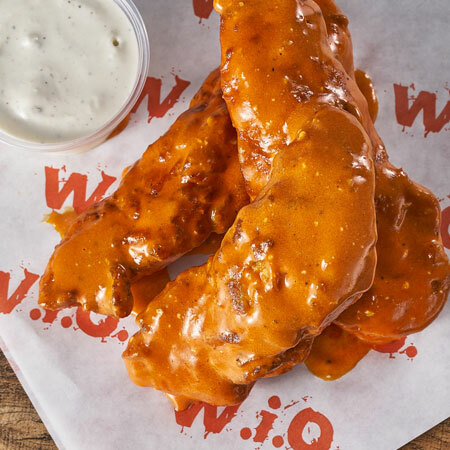 Crispy buttermilk chicken tossed in mild Buffalo sauce. Served with lettuce, tomato and blue cheese dressing on a brioche style bun. Includes choice of side and drink. 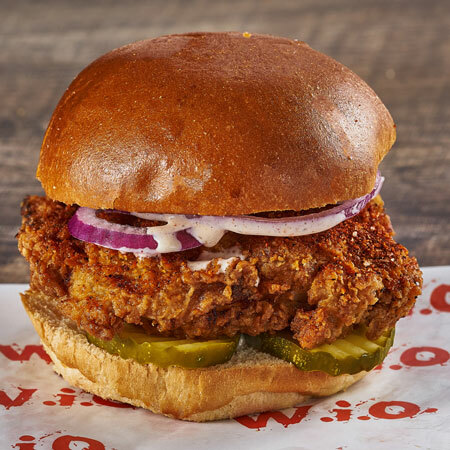 Crispy buttermilk chicken tossed in Dirty Rub and topped with pickles, red onion and chipotle ranch dressing on a brioche style bun. Includes choice of side and drink. 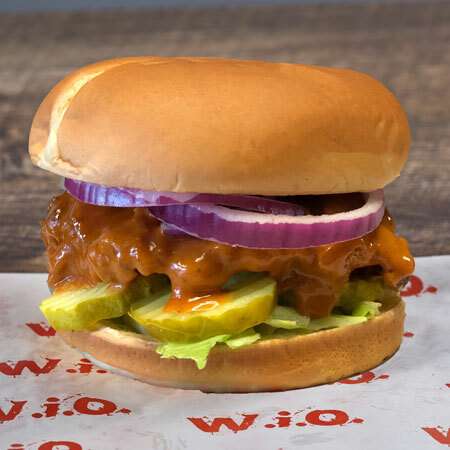 Crispy buttermilk chicken tossed in Mad Mojo sauce with, lettuce, tomato, red onion and pickle on a brioche-style bun. Includes choice of side and drink. 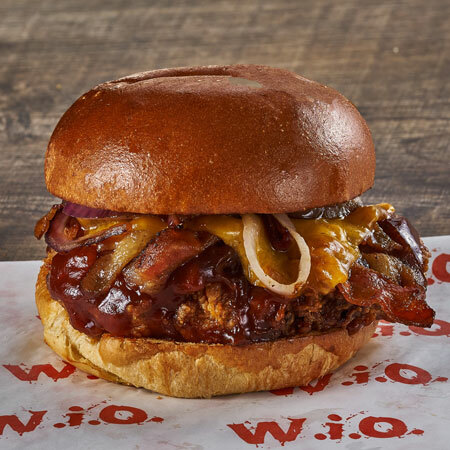 Crispy buttermilk chicken coated in hickory BBQ and served with cheddar cheese, bacon and onions on a brioche style bun. Includes choice of side and drink. A post-game treat to sooth the heat. 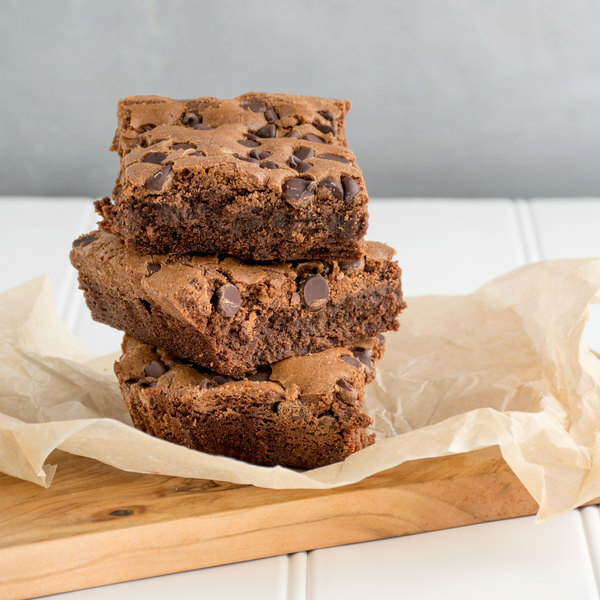 A sweet reward when the game is over.